The Galway Crystal Mystique pattern is retired; we are limited to stock on hand. 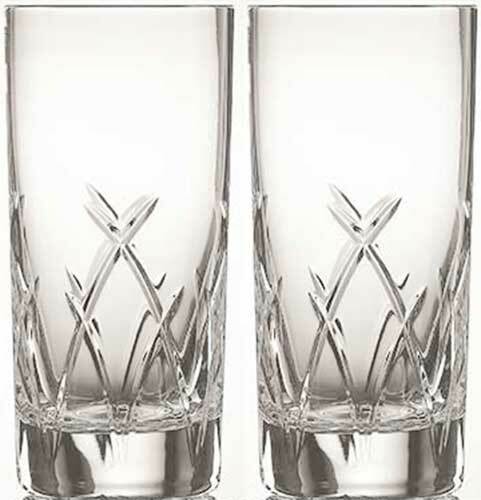 These Irish whiskey glasses feature 24% leaded crystal that is cut in the Mystique motif. The Irish crystal glasses measure 6" tall; they are ideal as mixing or whiskey highball glasses. The Mystique highball glasses are from Galway Crystal; they are gift boxed as pairs, complements of The Irish Gift House.